Focus dailies contact lenses are very light and comfortable to wear. Because they are very thin anybody can put the focus dailies very easily on to their eyes. There is no a physical feeling caused by having one or more of the sense organs stimulated on the edge of the lens on the eye. The contact lenses express customers are able to avail this facility because, we use the laser cutting process which gives our focus dailies products a rounded soomth cut. The foremost advantages with the focus dailies are daily disposables, comfortable and very light in the eye and the Arc cut which produces smooth rounded edge. The disadvantges with the focus dailies are you may not be able to sleep with them because they are a bit closely attached to tour eyes. 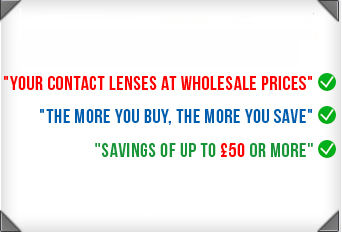 As these lenses a bit tough to remove from the eyes you may require to take some chances and eye drops. Most of the people feel that these focus dailies are most fragile in nature, but actually that is not true.